ICU MSCRM: The AsyncOperationBase Table: What are all those records anyway? The AsyncOperationBase Table: What are all those records anyway? 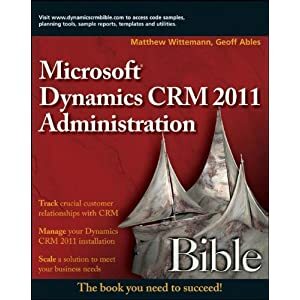 There have been several KB articles and updates published to help control the size of the AsyncOperationBase table, which can cause your CRM database to grow very large, very quickly. (See here and here.) But just what are all those records anyway? I pulled the following lists together from the SDK and technet in order to put this info in one place, where it’s a little more user-friendly (at least for me!). 1 Event Specifies a system event. 2 BulkEmail Specifies a bulk e-mail operation. 3 Parse Specifies an import file parse operation. 4 Transform Specifies an operation to transform parse data. 5 Import Specifies an import operation. 6 ActivityPropagation Specifies a campaign activity propagation operation. 7 PublishDuplicateRule Specifies an operation to publish a duplicate detection rule. 8 BulkDetectDuplicates Specifies a bulk duplicate detection operation. 9 CollectSqmData Specifies an operation to collect SQM data. 10 Workflow Specifies a workflow operation. 11 QuickCampaign Specifies a quick campaign operation. 12 PersistMatchCode Specifies an operation to update the matchcode. 13 BulkDelete Specifies a bulk delete operation. 14 DeletionService Specifies a Deletion Service operation. 15 IndexManagement Specifies an index management operation. 16 CollectOrgStats Specifies an operation to collect an organization's statistics. 17 ImportingFile Specifies an import subprocess operation. 18 CalculateOrgStorageSize Specifies an operation to calculate an organization's storage size. 19 CollectOrgDBStats Specifies an operation to collect an organization's database statistics. 20 CollectOrgSizeStats Specifies an operation to collection an organization's size statistics. 21 DatabaseTuning Specifies an operation for database tuning. 22 CalculateOrgMaxStorageSize Specifies an operation to calculate an organization's maximum storage size. 23 BulkDeleteChild Specifies a bulk delete subprocess operation. 24 UpdateStatisticIntervals Specifies an operation to update statistic intervals. 25 FullTextCatalogIndex Specifies an operation to generate an organization full text catalog index. 27 UpdateContractStates Specifies an operation to update contract states. 30 ReindexAll Specifies an index management operation. Hope this is useful to you! Have fun with it. Hi thanks for useful information, i was looking for these status codes for long time.